Born in 1955, Steve Paul jobs lived between then and 2011. Jobs is the founder of one of the world’s leading company Apple Inc. being an American, he was a committed entrepreneur, inventor and surveyor of market trends. Today, his memory lives in the world and he is considered a charismatic leader in the personal computing revolution industry. Steve influenced to a great extent the consumer field of electronics. His inventions led to the integration of the computer industry with that of the smartphones. Furthermore the developments in the music and video technologies that individuals enjoy today are part of his developments. Other than just being the founding father of Apple Inc., Jobs also contributed in the formation of the Pixar Animation Studios where he served as a chief executive officer. In 2006, Pixar was acquired by Disney pictures but this did not sideline the role of Jobs as he joined the company’s board of directors. In conjunction, this led to the invention of a graphical user interface mouse known as Xerox PARC. It was through the invention of this technology that Jobs developed the Macintosh and the Apple Lisa. Jobs was focused in the education and business sectors of the economy. His entrepreneur character enabled him to acquire Lacasfilm in 1986 and despite setbacks and inability to deliver an Apple operating system on time, he is credited for salvaging the company from bankruptcy in 1998. He is remembered and accredited for the conception and development of the Apples I series ranging from iMac, iTunes, iPod, and the iPad. These models of electronics have changed how technology works as they are coupled with other services such as the App store, the iTunes store and the Apple retail store. It is through the success of this products and services that Apple is among the leading companies in the United States and world over. Born in 1984 in the white plains of New York, Zuckerberg has defied the odds of entrepreneurship and rose to be among the world’s leading entrepreneurs and innovative individuals. Emerging from a family of four, he has changed the face of technology and interaction. He was raised as a Jew but latter converted to atheism. Zuckerberg is an internet entrepreneur whose investment in social media has revolutionized the way people interact, conduct business and communicate. He is the cofounder of the global leading social media site Facebook. With skills in computer programming, he has horned his skills in Harvard University and as of 2003, with the help of his friends he launched Facebook a social networking site from the confines of his dormitory room. The growth of the site was limited at the time by soon it gained speed as he introduced it to other campuses. As of 2007, at the age of only 23, he moved the servers of the site to California and appeared to be among the most successful investors in social media. The steady growth and worldwide acceptance of the site saw it reaching a maximum of one billion active users as of 2012. There were legal disputes in the company with claims of other stakeholders involved in the development of the site. 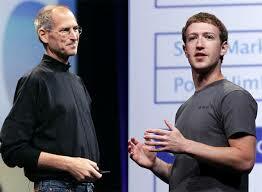 Currently, Zuckerberg is ranked as the one of the most influential individuals in the world. According to Steve Jobs, he admired the enthusiasm of Zuckerberg and predicted he will be among the leading inventors in the technology sector. Recently he acquired Whatsapp a mobile phone social connection media. This is in addition of former acquisition of Instagram. Today, Zuckerberg is ranked by the Forbes Magazine as among the top hundred richest people in the world.